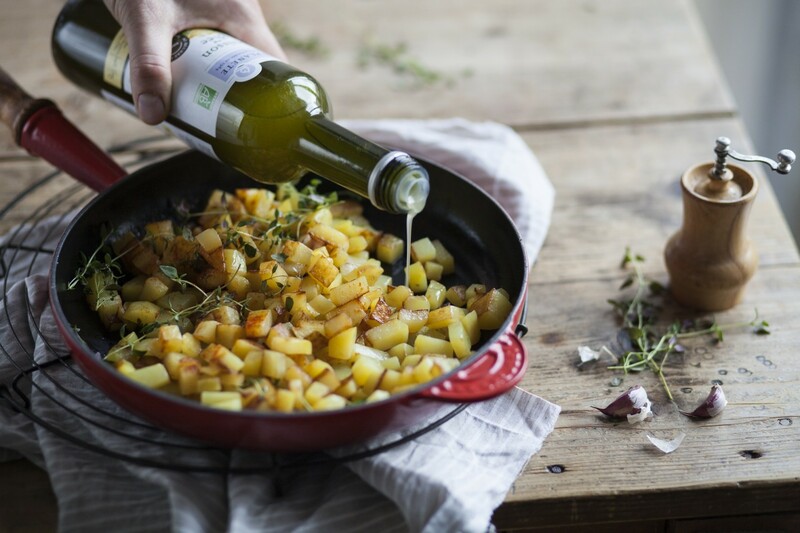 BIO PLANÈTE extends its range of highly heatable frying oils, presenting the new Frying Oil with Ghee at BioFach 2017. The product is a unique composition developed by Europe’s oldest organic oil mill. It combines the health benefits of a vegetable oil with the delicious taste of butter. Ghee is an essential part of ayurvedic cooking: It is a special form of so-called “clarified butter”, from which lacto-protein, water, and lactose have been removed. Due to the high oleic sunflower oil the mixture contains, this new frying oil has high contents of monounsaturated fatty acids (67 g/100 ml) and vitamin E (30 mg/100 ml). At the same time, it has an irresistible savor of butter. What's more: It is lactose-free. BIO PLANÈTE Frying Oil with Ghee, is composed for the health-conscious consumer, who pays special attention to a nutritious cooking-style, yet cherishes the smooth taste of butter. It is a gourmet’s choice for frying vegetables and fish, but also omelet, vegetable cutlets, or pasta dishes. With a smoke point of at least 200 °C/392 °F it is highly heatable. Owing to its liquid consistency, it can be measured more precisely than butter or clarified butter in its pure form.